Rediff.com » Business » Who were the winners and laggards in MFs in March quarter? Who were the winners and laggards in MFs in March quarter? Among individual fund houses, SBI MF was the biggest gainer in absolute terms; its AAUM rose Rs 66,090 crore, compared to its asset base in the corresponding period of FY18, reports Jash Kriplani. 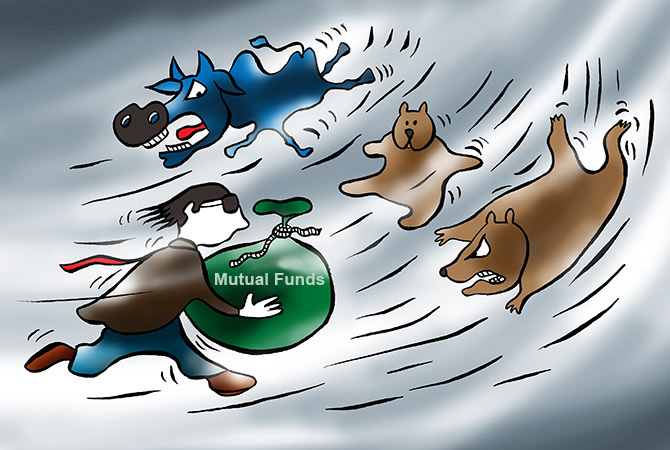 The mutual fund (MF) industry ended FY19 on a sombre note. 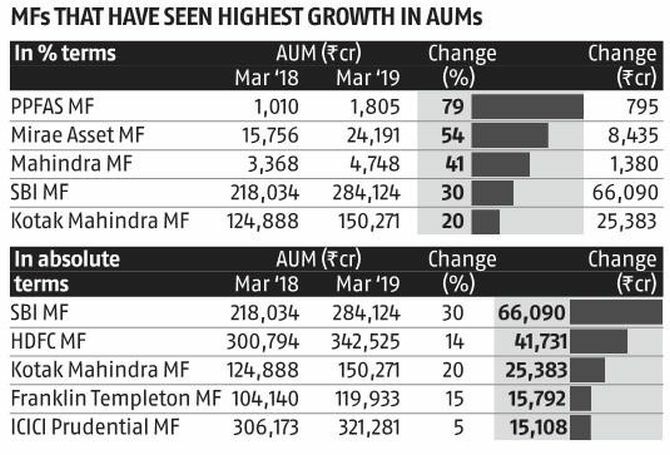 At the end of the March quarter, the industry's average assets under management (AAUM) stood at Rs 24 trillion -- just 6% higher than the previous financial year (FY18). Among individual fund houses, SBI MF was the biggest gainer in absolute terms; its AAUM rose Rs 66,090 crore, compared to its asset base in the corresponding period of FY18. HDFC MF, Kotak Mahindra MF and Franklin Templeton MF were other major gainers in absolute terms. In percentage terms, mid-sized fund house Mirae MF's asset base jumped over 50%. Mahindra MF's AAUM rose over 40%. DHFL Pramerica MF and Indiabulls MF saw the largest erosion in assets, in percentage terms. For DHFL Pramerica MF, AAUM dropped 68%, while for Indiabulls MF it was down 55%. 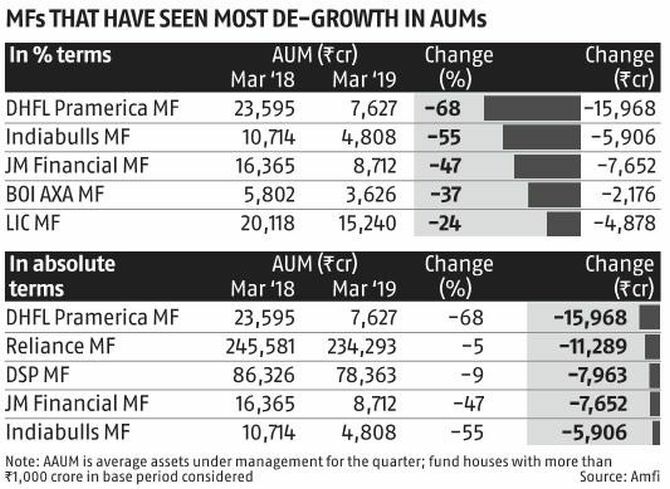 Reliance MF and DSP MF saw a larger fall in their asset base in absolute terms, with the AAUM declining Rs 11,289 crore and Rs 7,963 crore respectively.